Wishing everyone a safe and Happy New Year! Welcome 2010! Merry Christmas from Dentist Philippines! The oath taking ceremony of the successful examinees in the recent examination as well as in previous ones who have not taken their oath of professional will be held before the board on Jan. 25, 2010 at the Manila Hotel. A dental bridge is a piece of equipment used to replace one or more missing teeth. These bridges are cemented into place and therefore a permanent piece of cosmetic surgery. Dental bridges replace missing teeth by bridging the gap between two remaining teeth. Typically, bridges consist of a pontic (false tooth) and crowns placed on the abutment (surrounding natural teeth) to hold the false tooth in place. To design a bridge a dentist must first shrink, then reshape the surrounding teeth to make room for the supporting crowns. A mold of the teeth is then made and this mold is then sent off to a laboratory, where the actual crowns and bridge are made. Nearly everyone who has one or more missing teeth is a candidate for a dental bridge. The Maryland Bridge is an ultra-conservative treatment option that enables the dental practitioner to splint or replace missing teeth esthetically, with an absolute minimum amount of tooth modification. This type of bridge combines a composite resin cemented to acid etched enamel and an acid etched cast metal framework. The Maryland Bridge improves the bond strength of the restoration three-fold over earlier perforated resin-bonded retainers. With the Maryland Bridge, fixed partial dentures, periodontal splints and a variety of other conservative restorations can be placed with a minimum of tooth modification. Abutment teeth are basically left intact and not damaged. Modifications of the bridge are restricted, but all tooth preparations are supragingival, (above the gingiva), making modifications kinder to the periodontal tissues and impressions easier to obtain. The preparation for a Maryland bridge does not involve the dentin so sensitivity is virtually eliminated either from the preparation or subsequent cementation procedure. Most importantly, as the Maryland Bridge requires little or no removal of tooth structure, the treatment is often reversible. The Maryland Bridge has been used successfully for over 20 years. The quality and design enhancements of this cast resin-bonded bridge have been proven successful both as a transitional and/or permanent prosthesis, particularly where there is a reluctance to perform extensive reduction on a good tooth. As with all types of bridges it is important to maintain proper oral hygiene. With proper oral hygiene, bridges can last up to ten years. However, improper or infrequent brushing and flossing, irregular dental visits, and excessive sugar and starch intake can all bring untimely damage to the bridge. An update on December 2009 Dentistry Board Exam Result : Some websites speculated that the Theory results will be posted tomorrow morning. While others say that the results will be released on tuesday. The practical part of the exam will be held starting on December 10, so most probaly the results will be released tomorrow. In the mean time, visit google.com and search for updates about the Dentist Board Exam Results for Dec 2009. 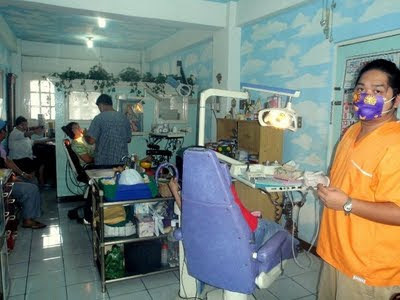 I've recently visited the Quezon City Dental Clinic of my former classmate Dr. Ian and Dr. Brian. 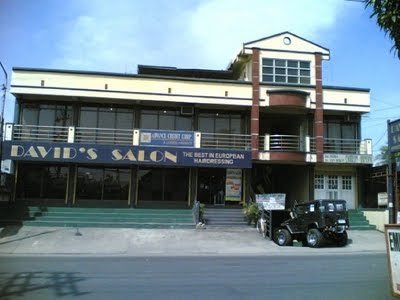 Carreon-Obiniana Dental is a family oriented Dental Office located in 661 Quirino Highway Quezon City. It is open monday to saturday from 8 in the morning to 6 afternoon. It is easily accessible through buses, jeeps, taxi cabs and Tamaraw fx services. Dr. Ian is a UE Dentistry classmate and a true dabarkads of mine. He's also a Registered Nurse. His good bro, Dr. Brian, is currently taking up Master of Science in Dentistry Major in Orthodontics in UE College of Dentistry. I've edited this blog's sidebar. I've added dental resources. Some useless about me info were also removed.